Created with pure roasted peanuts, our Organic Peanut Butter is all-natural and a great source of protein. Free from added salt, sugar, palm oil, and preservatives, this classic favourite is the sweet and simple way satisfy your cravings without derailing your training. 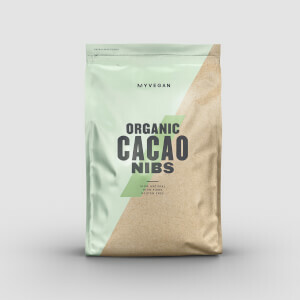 It’s packed with protein which helps to grow and maintain important muscle,1 which is vital whatever your fitness goals. Plus, it’s also crammed with naturally occurring zinc and magnesium, which boosts your immune system2 and supports muscle function3 — keeping you on top of your game and able to get back to the gym time and time again. 2. Zinc contributes to the normal function of the immune system. 3. Magnesium contributes to normal muscle function. When to enjoy Organic Peanut Butter? Our Organic Peanut butter is an ideal spread to add to rice cakes, crackers, wholegrain toast, and to fruits like apples and bananas. What to enjoy Organic Peanut Butter with? 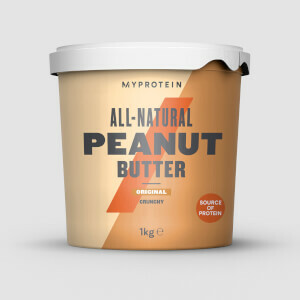 Organic Peanut Butter is a tasty way to keep topped up on protein. But, for an extra push to reach your fitness goals — try Impact Whey Isolate, one of our purest protein blends. Store in a cool, dry place. Once opened, best consumed within 3 months. Suitable for vegetarians and vegans. Produce of more than one country. Contains naturally occurring sugars. Organic certified. For allergens, see ingredients listed in bold. May also contain sesame seeds and nuts. Crunchy: Peanut (100%) (Whole skin on). Smooth: Peanut (100%) (Whole skin on).